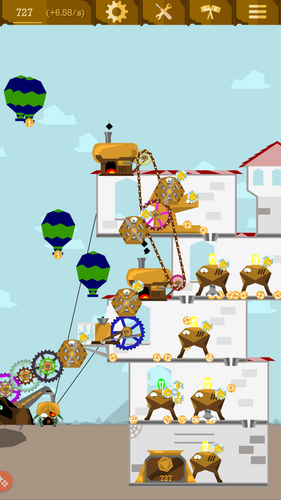 Cogs, money and mad science! All what you have at start is a machine which produces coins out of nothing, but it’s all what you need to build your factory, mine coal, construct drones and become a millionaire! Basic game concepts are explained inside: spin the cog, buy new machines, expand your factory. Use your brain to find out the most efficient connections between the machines.